We collected a testimony of a triple stabbing incident in the UK in 2016. A paramedic reports the very moments of the action, when they arrived to treat the patients and when police were also on scene . The disorganisation in such situation, that should be treated with severe criteria, avoiding potential risks. Another topic that emerges in this reports, is the interoperability. The joint of interoperability, command and control between police/fire/ambulance has been a topic of much interest over recent years, but there are still poor communications between responders resulting unnecessary. Several months prior to this incident I had also attended extra training as an operational on scene commander. This job that we attended was less due to the hazards and more to do with the fact that there were three seriously injured patients and we were 6 paramedics available to respond as a team. While the team all had access to communications in the form of radios and a dedicated channel these were not well utilised. SECURITY IN UK – Generally speaking, the security situation in the UK is pretty safe. This type of incident is a very rare situation in England and this rarity goes someway to explain some of the problems that occurred during the incident. The majority of the security issues are based upon constant verbal assaults and the occasional physical assault, generally speaking from intoxicated patients. The incidence of premeditated violence is few and far between although there has been a reported increase in abuse of ambulance staff in the last few years, this may correspond to the year on year increase in calls to the emergency line and the associated calls that are not in fact emergencies. THE INCIDENT – To clarify the part of this incident that was around violence the issue here was that we had a team of nearly 20 uniformed professionals at one point in a building, of which only a few knew the attacker was on scene and no one realised there was potentially a weapon still unaccounted for and extra persons in the property that we did not realise. 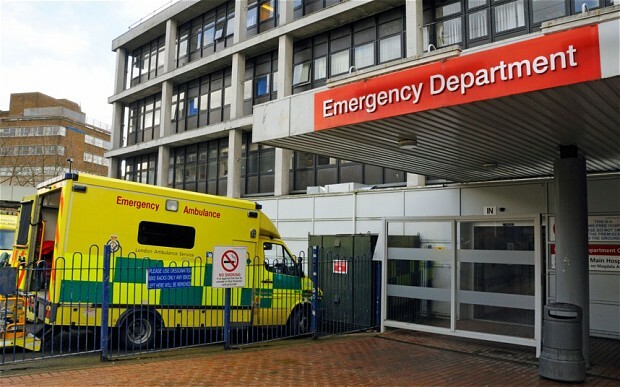 The incident was particularly chaotic as there were two active resuscitations ongoing for multiple stab wounds and one peri-arrest patient who was also being treated and was transported to hospital reasonably quickly after being stabilised on scene. The combination of a lot of staff members on the team and many policemen made the scene quite chaotic. All told there were around 10 members of the ambulance service on scene and a similar number of policemen. However, the first person, arrived on scene in a car on its own and went straight into the property and started trying to treat one of the patients. At this point, the first person on scene was likely overwhelmed and so did not provide clear feedback to the control room and coordination with the police was minimal. It was not until we had stopped working on the two patients on scene and transported the other patient that we found out the assailant was upstairs (with the police). However, there were two further people in the property that no one knew about. The implication of this is that the assailant could feasibly still have been in the house without the team knowing and that the weapon had still not been accounted for. There was a large presence of bystanders outside of the street that had gathered to see what was happening with a large number of emergency vehicles and some of these people were becoming frustrated at not being told what was going on and occasionally got loud while speaking to the police. In terms of the challenges and decisions we made these were not that complicated, we made the decision to split the team up and help other ambulance staff who were already on scene rather than stay as one separate entity. This did create challenges as our vehicles are set up for major incidents and not necessarily ease of access for life-saving equipment. In the hazardous area response team we arrived in 3 vehicles that all have completely different equipment layouts, none of which could convey patients to hospital (although that was not necessary in this circumstance). Coordination with the police was limited to informal conversations made by different individuals in different areas of the building and as such anything that was communicated regarding the risk was not disseminated back through the whole team. There was never a hot zone set up in this incident as the risk was assumed to be contained. My role in this incident was to help run one of the advanced life supports being carried out on a patient. This was an unusual incident in the context of the UK. First of all, I would like to explore the novelty of the situation, the way in which although training in related areas may have taken place the actual circumstance of violent crime in the UK is fairly limited. I will do this by adding some statistics on knife crime in the UK. According to the annual government report on crime statistics, which can be found on the PDF attached to the document, knife crime rose 10% last year with 28,664 offenses. While this might seem like a lot of incidences when you spread that over a population of just over 65 million (Office for National Statistics 2016) this is not that high a number. The rarity of being called to an incidence of this severity and relative danger is further highlighted when you look at the data for May 2016 (NHS England 2016) which shows that in the month of May the ambulance services across the Uk received 806,354 calls working out at an average of 26,000 a day. Of these 26,000 a day 19,000 were categorised as needing an ambulance. So, as there are only 28,664 offenses in a year (many of which the ambulance service will not need to attend as there are no persons injured), when you consider that over the course of the year there is approximately 9.4 million calls a year and spread the workload over different crews in areas working different shifts you will see that you could conceivably go your entire career without coming across a job involving knife crime or indeed firearms. TRAINING – With the paramedic profession being regulated by the Health and Care Professions Council and setting minimum standards for paramedics. All of the paramedics on scene were trained to deal with complicated trauma patients. The reality of the situation is that many had never been to a stabbing and most of the work of paramedics in the UK is done in small teams, usually 1 or 2 paramedics and another ambulance person who will likely not be trained to the level of a paramedic. This means that often when lots of paramedics get together who are used to working as independent clinicians there is confusion or blurred boundaries. As the scene had 8 staff of the same clinical grade (as paramedics) and all of those 8 were busy running kit/transporting the one patient alive or actively resuscitating the other patients. This flat hierarchy with no clear structure meant that small isolated cells of clinicians focussed on what they were doing. This meant there were 3 separate groups working in isolation with a presumption that someone was in charge and coordinating the operation. This assuming someone else was considering scene safety and management may have been part of the reason why we perhaps did not have as clear a picture as we should have. Perhaps another problem is the way in which scene management is taught. While we follow the DRCABC protocol (danger, response, critical hemorrhage, airway, breathing, circulation) and students are drilled in this it may have become something which is repeated but not really considered. A common thing to hear from students coming into scenarios is “considering scene safety: is the scene safe?” and perhaps this repetition of something which is considered a “formality” during training does not help. The UK paramedic works in a relatively safe environment and this in itself may mean that people become complacent and do not follow best practice in checking for scene safety. In terms of the actual treatment the patients all received a very high standard of care, full advanced life support was carried out in accordance with the European Resuscitation Council guidelines and advanced skills such as intubation and needle chest decompression were applied. The outcome did not reflect this high standard of care although the team did provide good clinical care. The idea of “bandwidth” is that a person can only focus on so many things at once, similar to bandwidth on a computer. 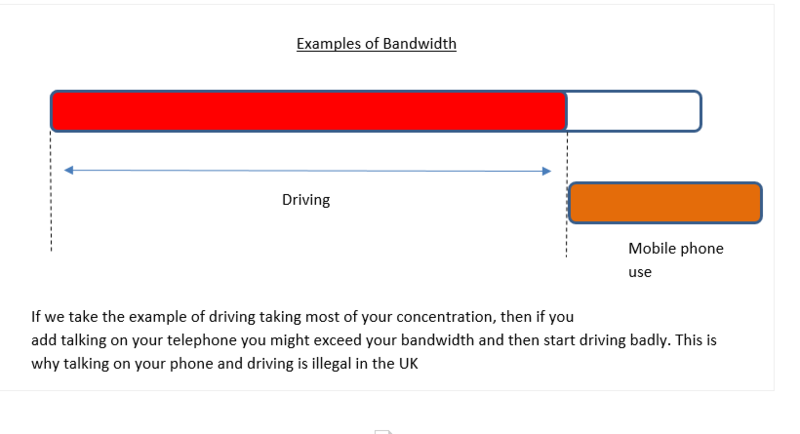 The difference with a computer is that when bandwidth is exceeded with a computer it slows down or stops working, what is dangerous with people is that often they continue working but doing the job badly. If you imagine you only have so much that you can think about at a time then perhaps this job had too much going on, too many distractions.